Protects XR440 Data Logger in outdoor or hostile environments. 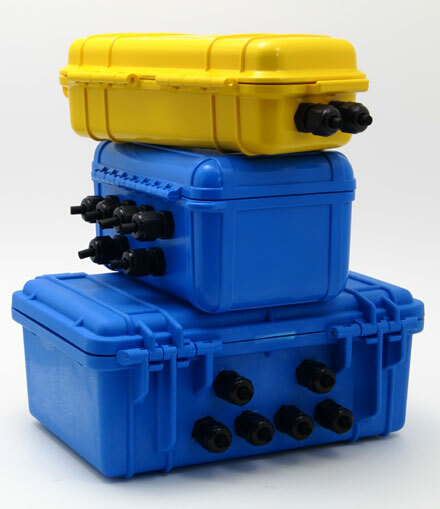 EC44 Compact Case: Six (6) cable fittings. EC506 Heavy Duty Case: Six (6) cable fittings, folding carrying handle, padlock ears, heavy duty construction. About twice the weight and volume of the EC44.